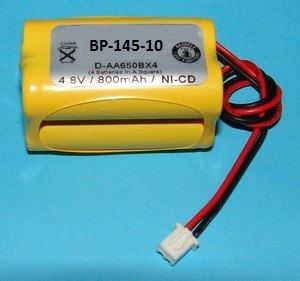 BP-145-10 :4.8volt 800mAh rechargeable NiCd battery pack for emergency lighting (ALLFIT E1021R; replaces D-AA650BX4). Includes connector. These battery packs are manufactured in the USA by BATTERIES AMERICA.